So a couple of weeks ago when I got on my eating healthy kick I wrote down a whole bunch of ingredients I needed for the grocery store.. Coconut Oil happened to be one of them.. then I got into conversation about Coconut Oil with my mom and she didn't think it was "that healthy" to cook with... well I got on another research kick and discovered how amazing Coconut Oil really is.. and since I bought a jar that night I've been putting it to good use!! 17. Hair conditioner/ Deep Treatment - use as a leave-in hair conditioner by applying a teaspoon of coconut oil to your ends and then running your fingers through your hair to distribute the rest! For a deeper treatment, rub in a tablespoon of coconut oil onto your dry scalp and gently work through to the ends. Put a shower cap on to prevent transfer onto bed linens and leave on overnight. 39. Digestion - the saturated fats in coconut oil help control parasites and fungi that cause indigestion and other digestion related problems such as irritable bowel syndrome. The fat in coconut oil also aids in the absorption of vitamins, minerals and amino acids, making you healthier all around. 41. Fitness - coconut oil has been proven to stimulate your metabolism, improve thyroid function, and escalate energy levels, all of which help decrease your unwanted fat while increasing muscle. 45. Nose bleeds - coconut oil can prevent nose bleeding that is caused by sensitivity to weather such as extreme heat and extreme cold. This condition happens when the nasal passages become dry because of cold or dry air resulting to burns and cracks in the mucus membranes so bleeding happens. To prevent this just put coconut oil in you nostrils. Coat your finger with coconut oil and then lie down and coat your finger inside your nose. Doing this will strengthen and protect the capillaries in the nasal passages. A Vitamin C supplement will also help prevent nose bleeding. 47. Stress Relief - relieve mental fatigue by applying coconut oil to the head in a circular, massaging motion. The natural aroma of coconuts is extremely soothing thus helping to lower your stress level. 49. Weight loss - the saturated fats contribute to weight loss and controlling cravings. Also increases metabolic rate. 119. Circumcision healing – although I am personally against circumcision, I have read that coconut oil is a really great healer for this. 130. Butter Substitute - use 1 cup to 1 cup ratio when replacing butter in recipes with coconut oil. 152. Goo Gone - just mix equal parts coconut oil and baking soda into a paste. Apply to the “sticky” area and let it set for a minute. Then scrub off with an old toothbrush or the scrubby side of a sponge. 153. Insect repellent – mix coconut oil with peppermint oil extract and rub it all over exposed skin. Keeps insects off better than anything with DEET! Tons safer too. 156. Polishing Bronze - all you have to do is rub a little oil into a cotton towel and then wipe down the statue. It cleans and helps deepen the color of your bronze. 157. Polish Furniture - coconut oil with a little bit of lemon juice to polish wood furniture. However, I recommend you test it first on a very small, unobtrusive part of your furniture to make sure it works the way you’d like. 160. Soap making – coconut oil can be used as one of the fats in soap. I got his trick from a dentist of mine at the moncks corner dentist that another use of that virgin coconut oil is to making sure that the gums are healthy and that oral plaque is removed completely through oil pulling. That is done by simply gargling the oil for about a minute or two. I've tried it. It works! Just bought a jar last week! Thanks for the tips and tricks! i LOVE coconut oil! i use the same brand pictured above. so good! These helpful tips for cocnut oil were so interesting. Over half I'd never heard of! Especially love the pet section, great idea to include it! I am so excited to read more from you ! Love this!! And loving your blog. Newest reader! thanks i will check yalls out as well!! I use coconut oil in EVERYTHING! I've been using if for a few years now, it's a staple in my everyday life, from rubbing it all over me or my children to cooking with it...YUM! I was just reading about coconut oil the other day. I have used it for a few years but didn't realize how good it was for the body!! so what would the dosage be if your 200-230lbs???? I use coconut oil on the heels of my feet, it is excellent for dry cracked heels. Thanks for sharing more ideas for this wonderful product. you should be ashamed of yourself to claim this stuff cures HIVAlzheimers Autism, ect. where did you get your medical degree? You should do some research before you pop off about medical degrees. There is evidence that coconut oil works on Alzheimer's and my mother has personally seen it work wonders on a friend of hers with Alzheimer's. I agree it worked with my Menas Alzheimer s...just wanted to give ya a little support..I really appreciate this article!! 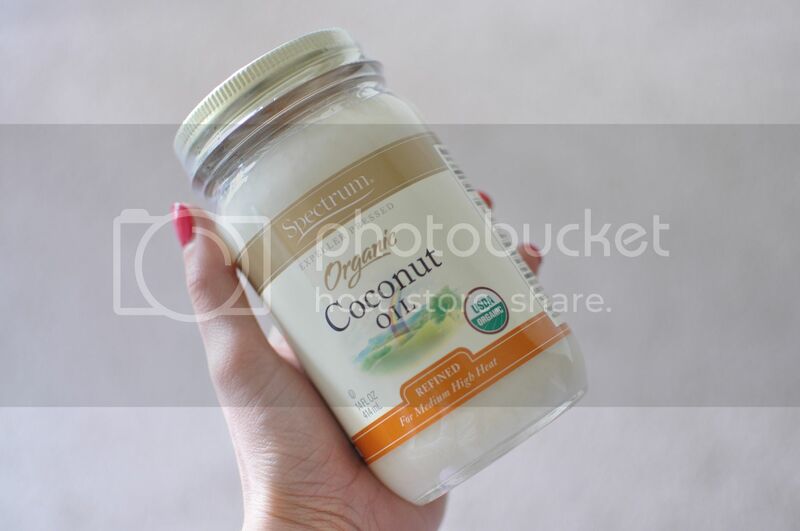 Is your coconut oil thick and solid or is it thin and liquid like? I have that same brand and have been taking a tablespoon a day but it is solid and I have to almost chew it. It is bearable but I was wondering if I was doing this for nothing. Do I have a bad jar? I am so excited to read all of your info!!! I saw how good coconut oil is for you on Dr. Oz and started taking it. You have so many more benefits than he stated. I love hearing about organic and natural cures rather than buying into the pharmaceutical toxic world that we live in!!!! Thank You!!!! How do you put it in dog water? I use the kind in a jar...is there another kind? which has the most health benefits? The UNrefined, virgin coconut oil has the most health benefits. That is because is hasn't been messed with a whole lot in the manufacturing. That goes for most anything that is 100% natural, NOT man-made. We live around the belief that you can make something 20 times better by adding all these different things to it, when really the all natural product was perfect in the beginning. I'm 71, had my eye lid surgery, developed a reaction to the anti-biotic cream so I used coconut oil. I had not heard about any of the health benefits so I was shocked to discover that my eyelashes had grown so much! I thought I was imangining things but both my daughter and daughter-in-law had at different times done my eye makeup for me and they confirmed it. I'll never quit using this! I love this, thank you so much my mom and clients was just telling me how great it was and even then it wasn't as much info as you just gave. I bought a bottle 78oz for $22. Since it was my first time trying it out I got to my mom to go half and half but I'm do excited now that I've read this. So thank you, thank u thank one question is there an easier way to take the daily dosage? I just tried it and it was a little rough do I was only able to take one table spoon and I need to take two and I worry how I'll get my husband and kids to take it? Supplements? Can u take them instead? I use it nights for eye moisturizer & wake up next morning with no red irritated eyes! I have a non-irritating rash on my arms, it seems to get worse in the winter. I started with putting olive oil on the rash, didn't change anything. Then I started using Aloe vera, didn't change anything, was about to see a dermatologist and discovered coconut oil. I gave it a go. The rash is almost gone. You just have to be patient. Nothing happens overnight, but it does work, for me anyway. Love it! Thanks, I was considering trying coconut oil for my dry skin but not sure about the purchase but you've convinced me, there's so many uses and benefits! Several of "your" ideas are repeated.There are no supporting footnotes for your medical claims. And minimal instructions for other ideas. The disclaimer that all info below that point in the blog wasn't really necessary because any of the valid or accurate info is readily available in more thoroughly executed articles. I love this stuff. . I use it for a lot.. but I just found about 140 new ways to use it! Thank you for sharing!....,LOVE LOVE LOVE!!!! My grandmas (lolas in the Phillipines) been using them for centuries esp to soften and shiny hair, that's the reason we have such thick soft black hair. i would like a jar like you advertize. where can i get this? I am SOO excited to try it out! I am 23 years old and suffer from more health problems than anyone would believe(narcolepsy, lyme disease, endometriosis, morgellons, and the list goes on). As I get older they just get worse and the doctors don't know what else they can do for me. I hate how many meds I am on as they mess with my body rly bad. Words cannot describe how excited and happy I am to have read your blog. I haven't even tried it yet and I'm all emotional haha. Really hope it helps! Ill def have to let you know if it helped! Research Young Living Essential Oils to use in addition to coconut oil. There is an oil for all of your disorders/aliments. Coconut oil was one of the only products that healed my cold sore-applied topically they healed in 2-3 days!!! Love it on the skin-I cover my face every night!! Do you use different kinds for different purposes, or does the cooking sort suffice for all of it?